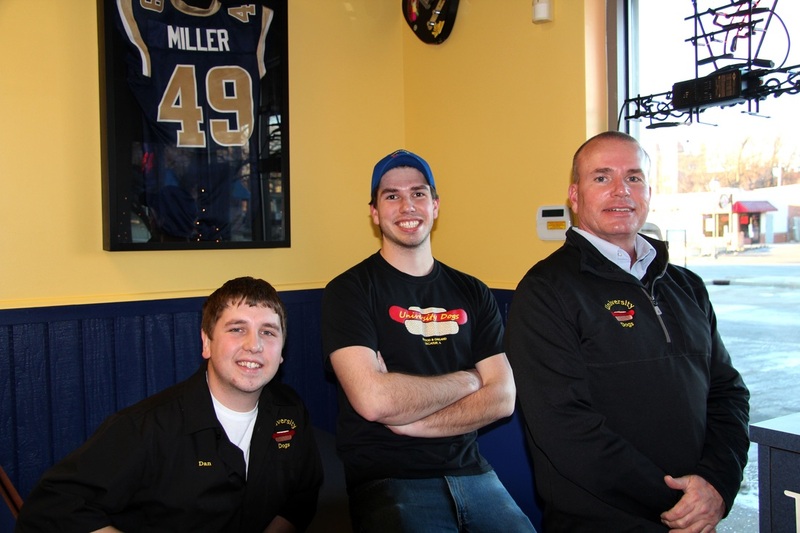 About Us - University Dogs, Inc.
University Dogs is a fast casual concept, created by Dan Henchel and Zane Peterson. Both are Chicagoland natives and graduates of Millikin University, class of 2011. Located on Decatur’s west-end, University Dogs is the cities best keep secret for great food and fun. With the help of Zane’s father, Jim, the young men have been serving up some of the best All-American food one can find in Central Illinois. It all started while the boys were finishing their degrees. After being immersed in the campus lifestyle and the Decatur community, they both knew something was missing. It was a taste that they couldn't find anywhere else outside of their sweet home. That taste is of course the classic Chicago Style fair insisting of: All Beef Hot Dogs, Charred Polish Sausages, Italian Beef Sandwiches, Cheddar Char-Burgers and Fresh-cut Fries. Since opening the menu has expanded slightly with beloved local favorites: Corn Dogs, Veggie Burgers, Mike Ditka Monster Spicy Polish Sausages, Award Wining BBQ Pulled Pork and Fresh-cut Potato Chips. "Mmmmm, mmmmm, mmmm, I'll take one of everything!" Thanks to the devoted and growing U Dogs Team, along with support from many friends and family, University Dogs helps put Decatur on the map with traditional food and family fun!